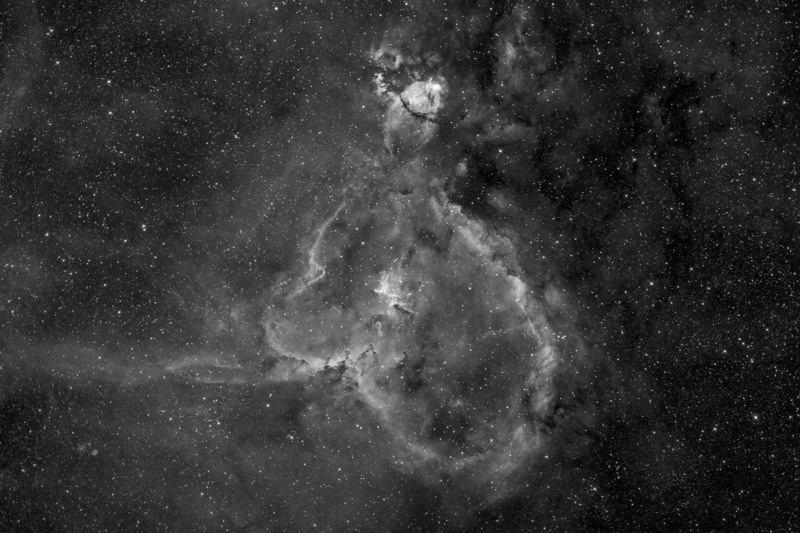 According to this writeup, these emission nebula are 7500 light years distant, IC1805, The Heart Nebula, is the large emission nebula in the center of the frame and IC1795 is the bright projection with the crossing dust lane near the top. The bright cluster near the center of IC1805 formed about 4 million years ago and caused its expansion into IC1975, which, in turn, caused a more recent burst of star formation about 100,000 years ago. 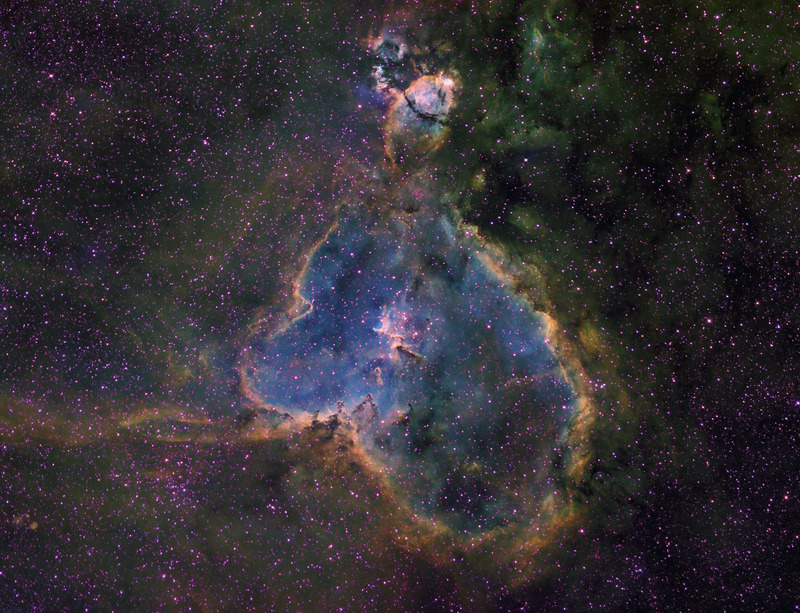 IC1805 is about 300 light years across.